If you found a magic quill pen that made drawings real... what would you draw? 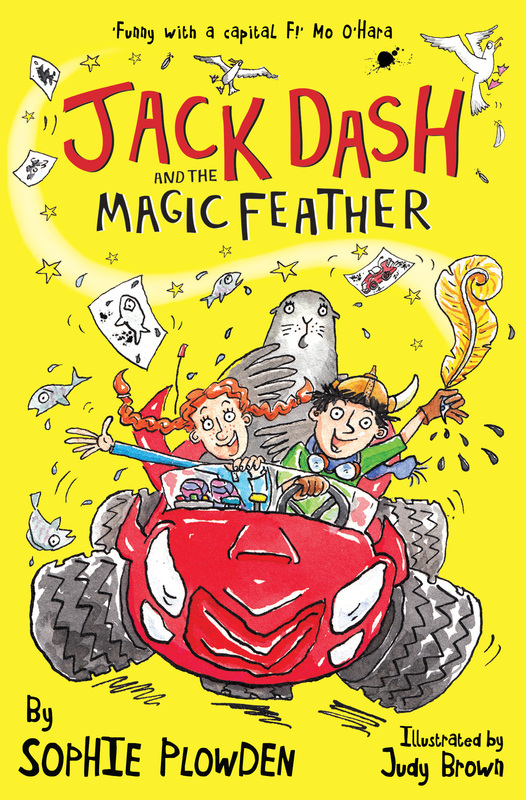 ​When Jack Dash finds the magic feather, thing go from dull to awesome in 0.6 seconds - he can have anything he wants! Only it turns out Jack isn't very good at drawing and his life is soon full of unexpected chaos, a pair of frilly knickers and a pet sea lion. When he finds himself on the run, it's time for Jack to save the day. Can he be quick on the draw? It’s Jack's first day at a new school and the head teacher is terrifying so the feather is staying at home. Or so he thinks. Giant cupcakes, speedboats, and penguins a plenty – it’s up to Jack to save the day again, but what will he draw? And why’s it snowing in the middle of summer? And do penguins even eat pizza? Jack's mum is taking part in the local Cake-Off Competition and is now battling against the unbeaten champion, Dr Spleen. But something smells burnt . . . Of course Jack and Coco can t keep away from trouble, causing more chaos than they would have ever expected. And yes, this book also features a herd of hairy yaks . . . Zany, lively and hilarious . . . impossible to put down. An excellent read for the newly confident reader and those who just want a truly ridiculous and funny story. Surreal humour and a page-turning plot will keep boys and girls hooked. The funniest book I've EVER READ! Thoroughly entertaining, exciting, funny and imaginative . . . Brilliant!! This amazing book is, now that I've read it all, my most favourite book of all times! It will blow your socks off because it's so FUNNY! I can't wait for the next adventurous book about Jack Dash! Funny with a capital F! Jack Dash and the Magic Feather is a crazy, clever, carnival ride of a story. Bonkers, brilliant and feather-tastic! There's mayhem, there's madness, there's even a pet sea lion! Original, brilliant and funnier than a pig on stilts!